The owner purchased the boat in 2015 - They're selling to upgrade into a different style boat. They report the engine and structural integrity to be solid, but she does need some TLC. The cabin needs some updating and fuel tank needs to be replaced in the next couple seasons. 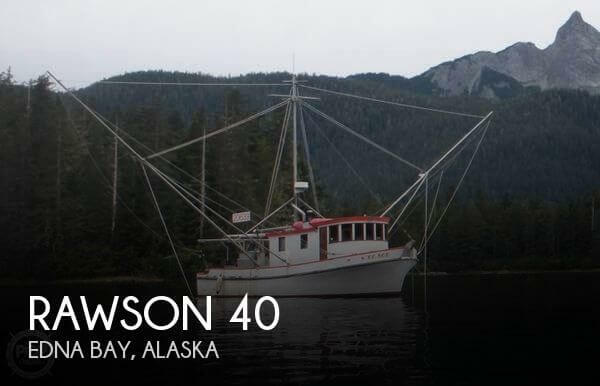 NOTE FROM THE BOAT'S OWNER: "Prior to us purchasing the Rawson - She was located up in Ketchikan. This was about 5-6 years ago. We are going to move into a smaller boat that isn't this much of a project. She has a ton of potential but we're just not looking to take it on right now." Stock #167177 Start a business and start living your dream, Add on to your business as well with this amazing RAWSON, get it while it lasts. If you are in the market for a troller, look no further than this 1972 Rawson 40, just reduced to $77,500 (offers encouraged). This vessel is located in Edna Bay, Alaska and is in decent condition. She is also equipped with a Cummins engine that has 1,500 hours. Reason for selling is upgrading to a different boat. Maintenance records are available. Seller states she was rebuilt 2012 and everything works! Sweet unit that will not last long! Please make an inquiry or call for more information, to set a showing or make an offer! Stock #153782 Commercial Fishing boat. Solid fiberglass Desco. Owner Retiring! 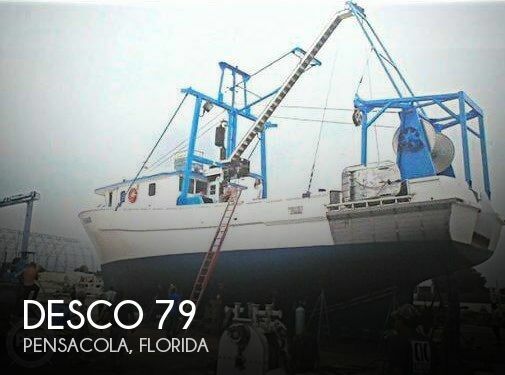 If you are in the market for a troller, look no further than this 1971 Desco 79 Work Boat, just reduced to $150,000 (offers encouraged). This vessel is located in Pensacola, Florida and is in decent condition. She is also equipped with a Caterpillar engine that has 1,500 hours. Reason for selling is retiring. Seller states boat in good condition but could use a little TLC. Had engines serviced November 2017. Hull is full 1 3/4 in fir in white oak ribs; yellow cedar lining deck beams gumwood stems glassed cabin Stock #167298 Large Classic Charter Boat Converted from a Commercial Fishing Vessel! Perfect For Liveaboard! If you are in the market for a troller, look no further than this 1975 Wahl Brothers 52, just reduced to $135,000 (offers encouraged). 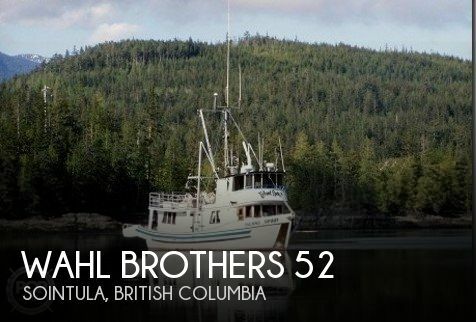 This vessel is located in Sointula, British Columbia and is in decent condition. She is also equipped with a Detroit Diesel engine that has 5,387 hours. Reason for selling is health reasons. This vessel is in good overall condition for her age and usage. There are no known issues and all electronics work properly. She currently gets run regularly. A small piece of wood needs to be replaced on the front side of the boat as it's starting to get soft but according to the owner, this is a small fix. Don't miss this opportunity to start or add to your commercial fishing fleet... or to live your dream spending the seasons fishing in Alaska! Stock #126874 Solid Fishing Boat Originally Built for the Navy! Professional Crab/Shrimp Pot Pullers - Two Year Old Re-Built Detroit 471 Diesel and Transmission If you are in the market for a troller, look no further than this 1983 Uniflite 33 Commercial Power Troller, just reduced to $40,000 (offers encouraged). 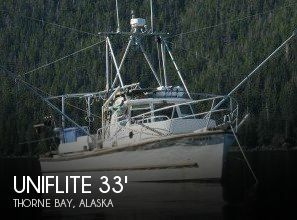 This vessel is located in Thorne Bay, Alaska and is in good condition. She is also equipped with a Detroit Diesel engine.